A teacher in Texas accused of getting pregnant during an alleged sexual relationship with a 13-year-old pupil has been arrested after turning herself in to police. 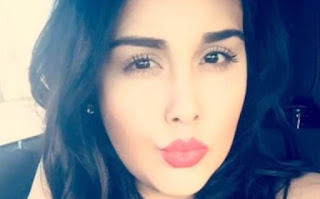 Telegraph.co.uk reports that Alexandria Vera, a 24-year-old English teacher in the Aldine School District, allegedly told school district officials that she met the boy during summer school last year and began a sexual relationship with him in September. She became pregnant with his child in January, according to police. When she told the boy's parents, they were "very supportive and excited", she told a school district investigator, court documents show. Ms Vera, who was removed from her job in April, reportedly became nervous and got an abortion after Child Protective Services questioned her and the student in February, according to court documents. The teacher, who went missing before police could arrest her, turned herself in to Montgomery County police on Wednesday. Brady Fitzgerald, Sheriff's spokesman, said she posted a $100,000 bond and was released. She is charged with continuous sexual abuse of a child.